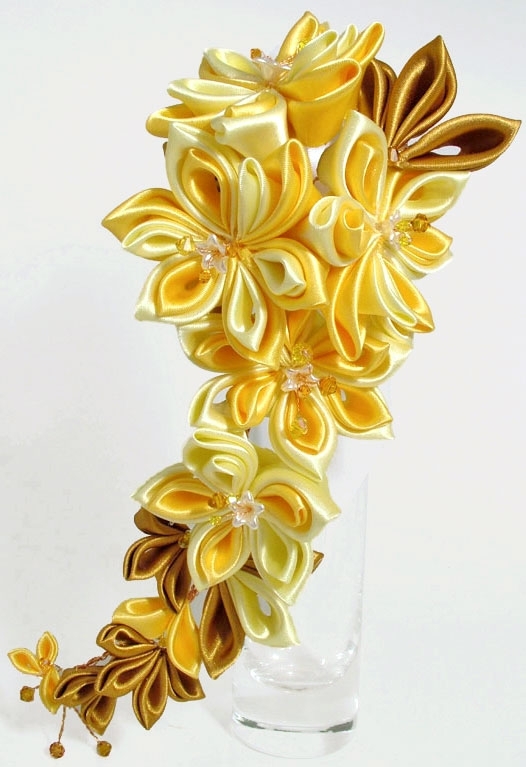 Bride's Cascading Kanzashi Flower wedding bouquet in yellows and bronze.
" Excellent service we requested an item and had a prompt and helpful reply. The jewellery arrived exactly when Kal said it would and was exactly what we'd asked for. Very well packaged. And, most importantly, very beautiful. " " Wonderful hair vine very pretty just like the picture. 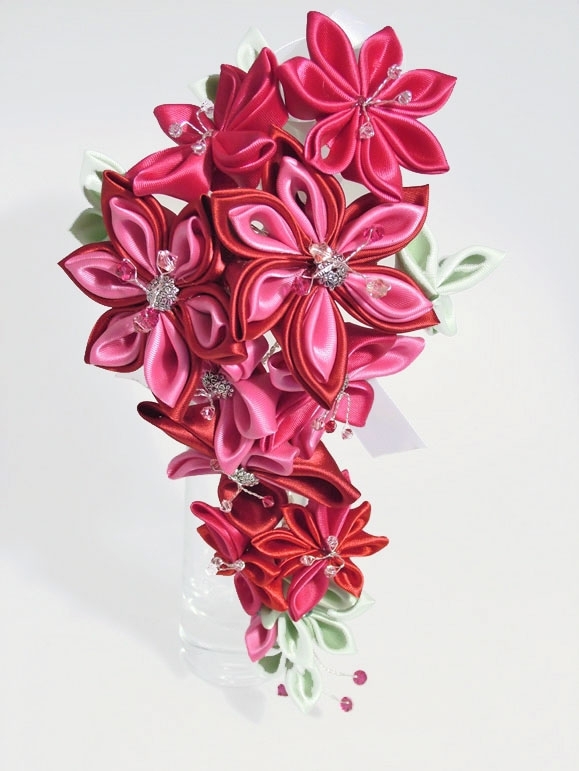 Thank you "
" The item is so pretty and very well made. It looks delicate but feels relatively robust and I absolutely adore it. I would recommend Kal`s Return to anyone and everyone! " " Ordered a custom barrette from Kal for my daughter to wear at her wedding. It is incredibly beautiful, and exactly as we had discussed. Kal was very easy to communicate with, and had no problem mailing it to me in the States. I have Kal's site bookmarked :) "